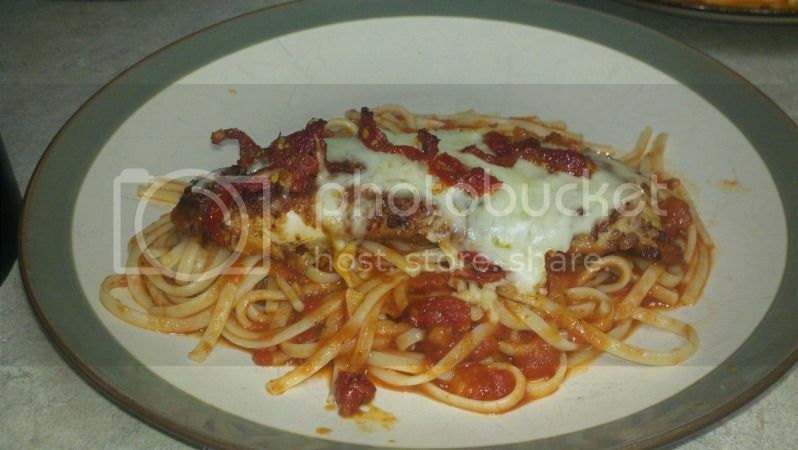 Everyone knows how to make chicken parmesan, but in case you don't, here's my recipe. Whisk together the egg and milk. 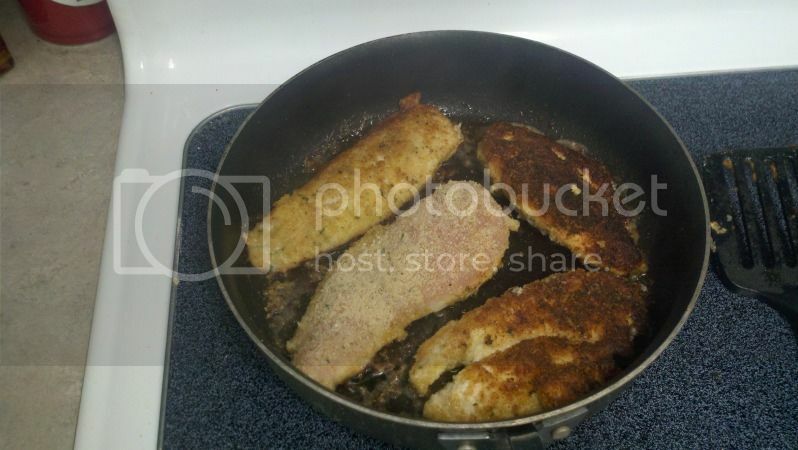 Dip the chicken breasts in milk and egg mixture and then in bread crumbs. Heat olive oil in a large skillet over medium-high heat. Brown the chicken in the hot oil on both sides until golden, about 3 to 4 minutes on each side. 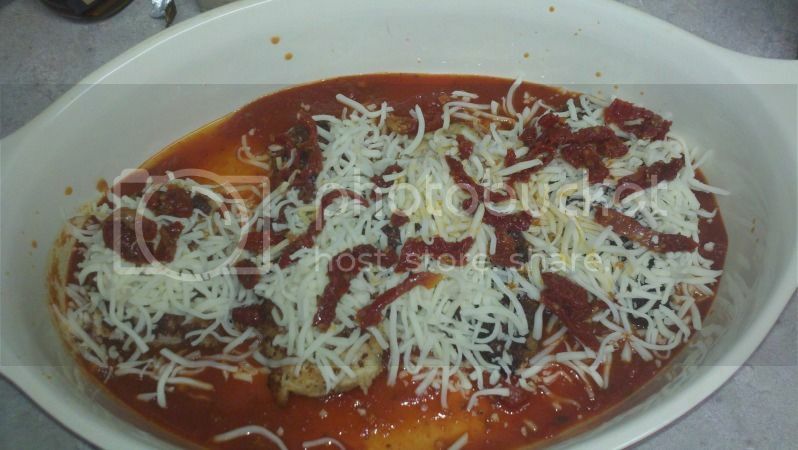 Set chicken in a baking dish. Slice 8 pieces of mozzarella cheese and put two on each chicken breast. Pour 1 jar of your favorite spaghetti sauce over all. I added sundried tomatoes to mine.